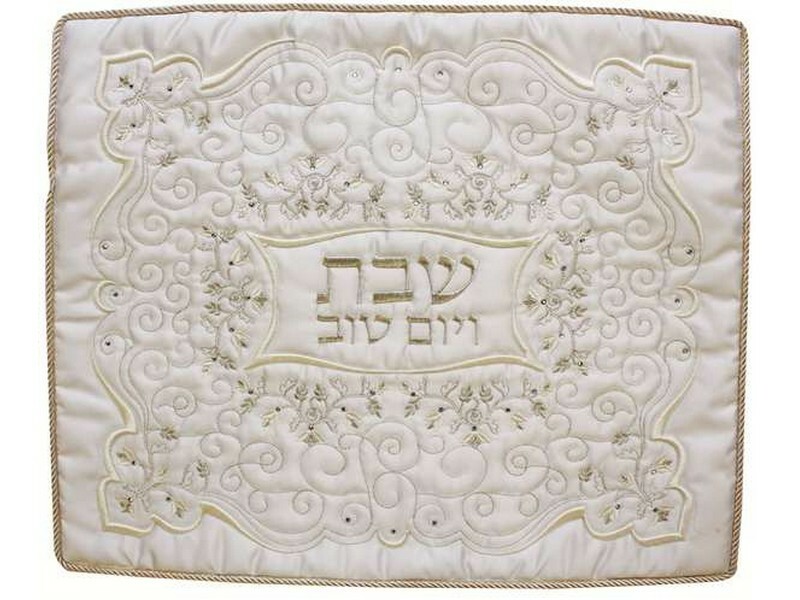 This challah cover is part of the Rikmat Elimelech designer collection. Designed with gold and silver colored thread, the elegant lines and flowers cover the terelyne material in a classy fashion. The many lines and swirl stitching covering the face of the challah cover gives this challah cover a quilted affect look. The Hebrew word “Shabbat v’Yom Tov”, “Shabbat and Yom Tov”, is embroidered the center of the challah cover. The edges are trimmed with a gold twisted rope.